The steel and composite wings of a jet share the sky with the delicate wings of a yellow swallowtail butterfly in a moment that lasted the blink of an eye. 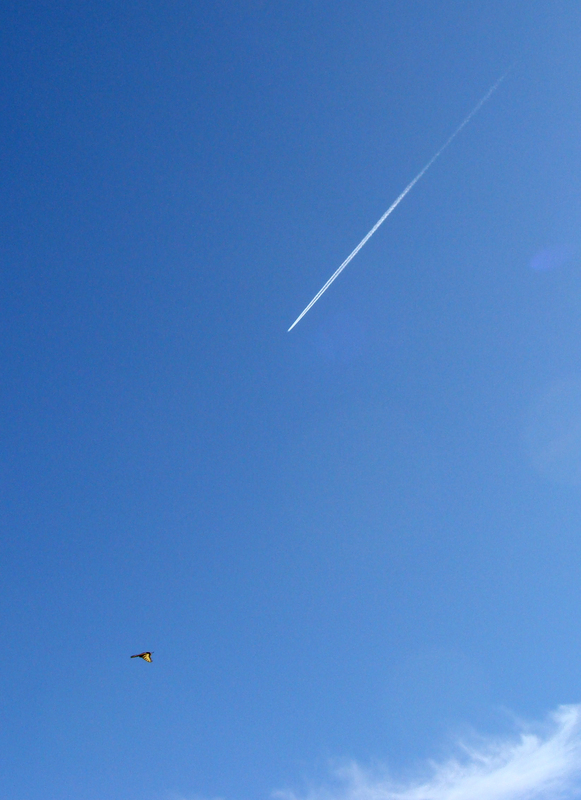 WINGED — Northeast-bound jet shares the sky with a butterfly cruising at 700 feet. 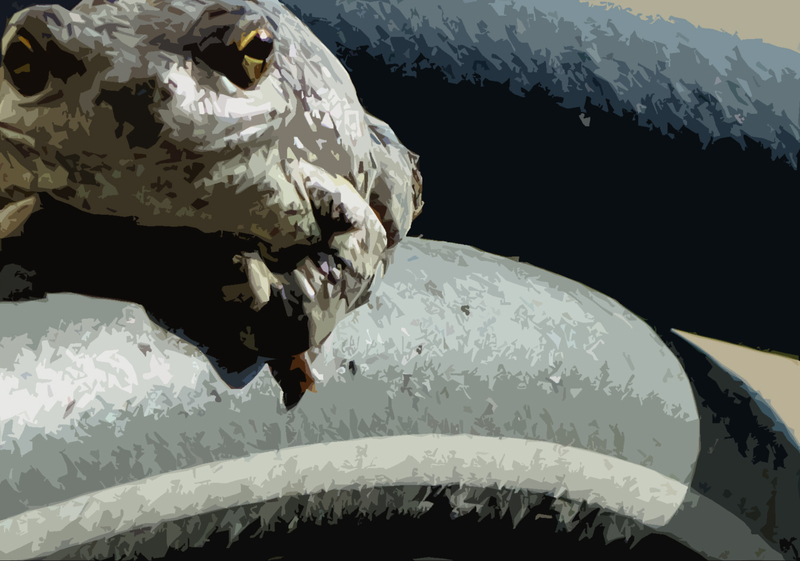 His unwavering gaze and decidedly un-Kermit like expression may not make him a beauty contest winner, but this gray tree frog is, after all, beautiful for what he is. 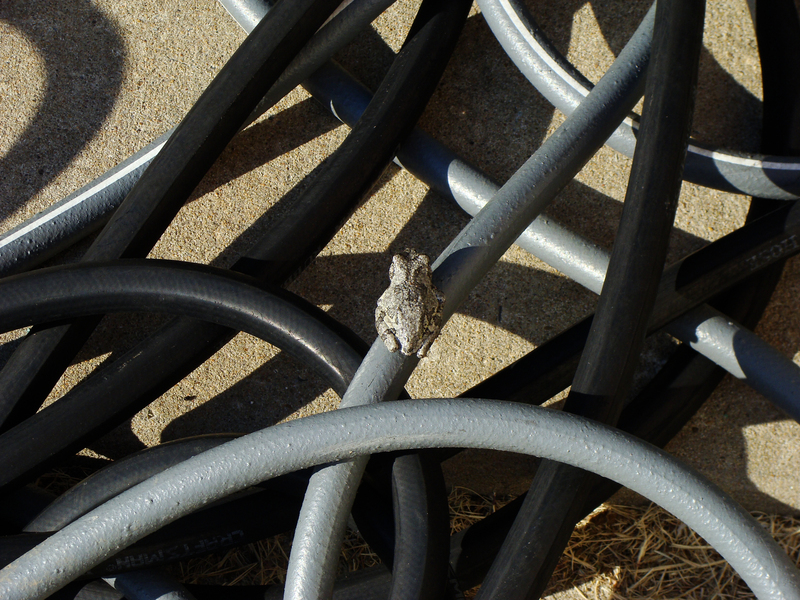 COMPOSITION IN GRAY AND BLACK — Gray tree frog right in the middle of the coils of hose. Throughout the ages, trees been powerful cosmological symbols. Any why not? 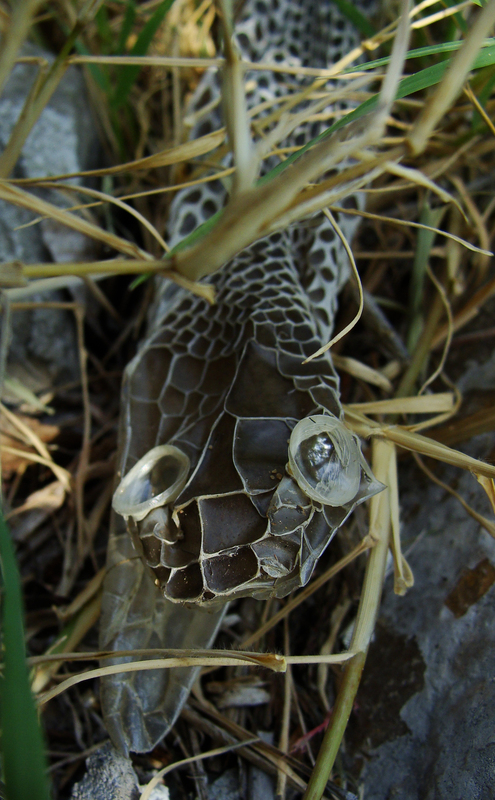 Their feet extend deep into the soil, while their branches soar into the sky. Many cultures, regardless of continent or hemisphere, saw trees as the bridge between the sacred and the profane. Ancient Celts and Greeks made sacred certain groves. The Norse envisioned the tree Yggdrasil as holding the universe and its worlds in place. Trees play a significant role in Judeo-Christian beliefs: the Tree of the Knowledge of Good and Evil in Genesis, to the cedars in Ezekiel’s prophecy (17:22-24), and the role the tree plays in the crucifixion of the Christ. The trees below seemed a modern echo of the axis mundi — a central pillar holding up the roof of the sky, connecting, yet separating earth and sky, ensuring heaven’s light shines down to the earthbound. CONNECTION — The tree is a symbol, a bridge from earth to heavens. 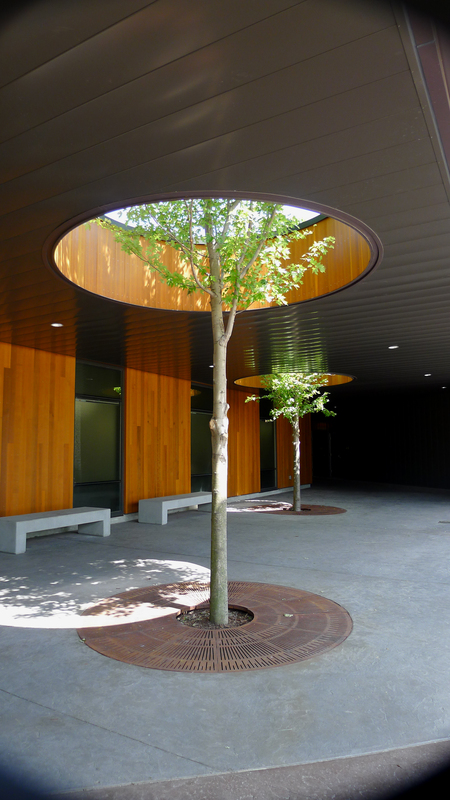 Architects thoughtfully designed spaces for the trees to reach their arms upward. 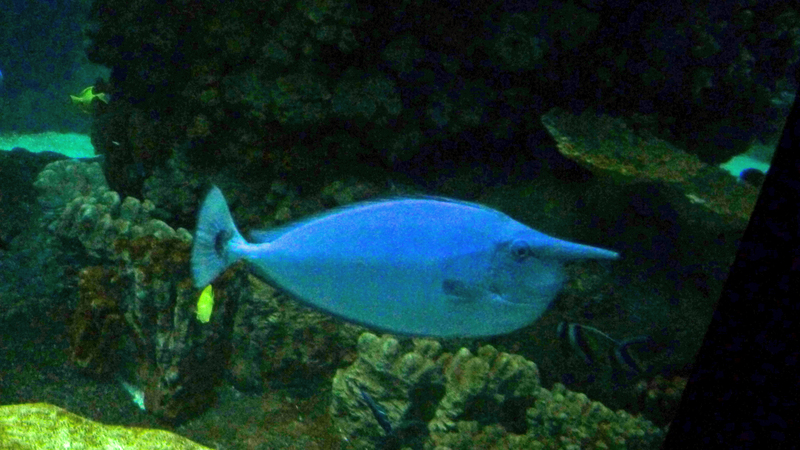 These are near the south entrance of the Minnesota Zoo. This week’s challenge, “create,” has been a frustrating one. What to post? A thousand times the question was asked and a thousand times not even an echo replied. It’s terribly ironic considering my livelihood depends on creativity. 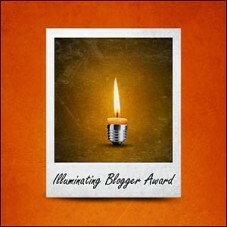 However, one of this week’s challenge responses, at lifebymagdalene, set off a flash of inspiration. My Dad! Eighty years young, Dad has been painting and drawing all his life. He has always inspired me with his artwork, whether a complex painting of a naval battle or a quick pencil sketch of Broadway Joe Namath for me to color with my broken crayons. I’d always aspired to his level of skill and talent. 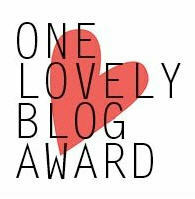 And if any more inspiration was needed, my Dad is blind, his vision stolen by macular degeneration. 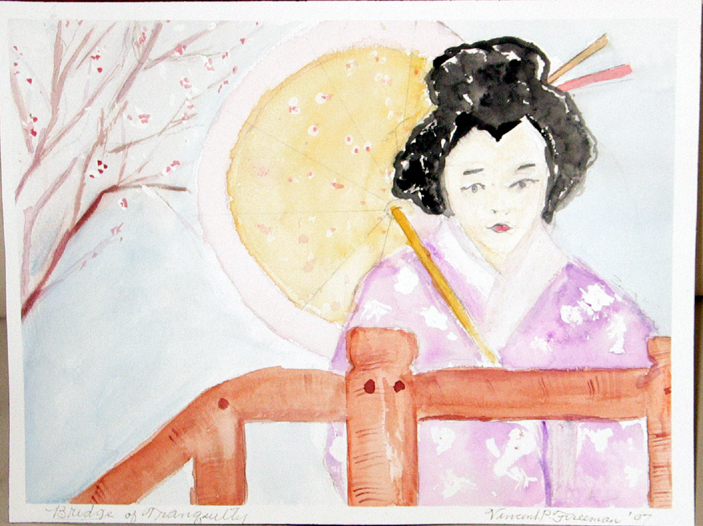 BRIDGE OF TRANQUILITY — A painting from 2007. 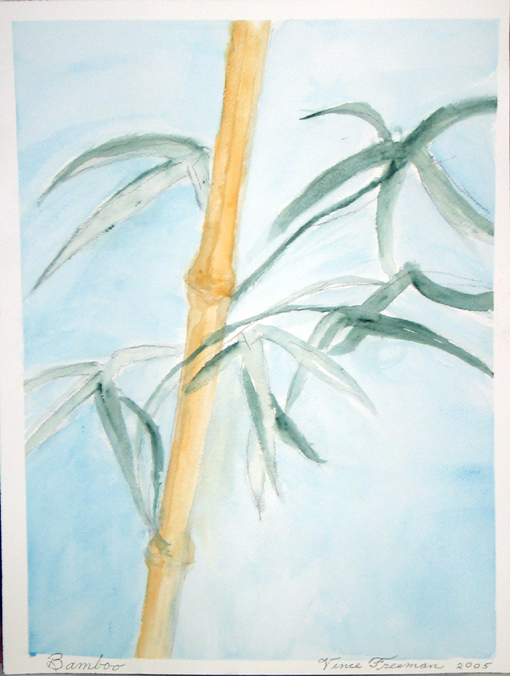 BAMBOO — A watercolor from 2005. BE NICE — Even the highway signs ask you to take turns. This one was posted near road construction on Minnesota Highway 13 near Eagann. 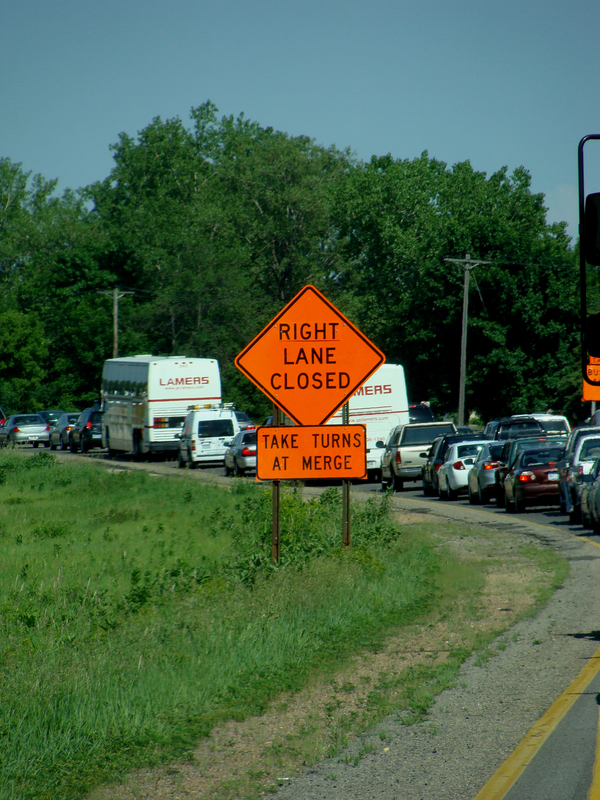 Minnesot’ns say there are only two seasons of the year: winter and road construction. Bactrian camels join the ducks for a swim on a very warm day at the Minnesota Zoo. 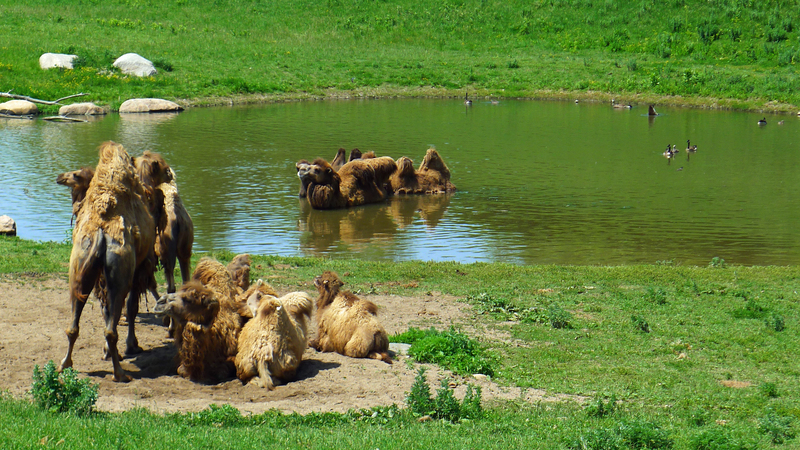 WELL-ADAPTED — Bactrian camels have adapted well to, um, moister conditions. The mercury is within a hair’s breadth of the century mark here in the Land of Heat and Humidity. 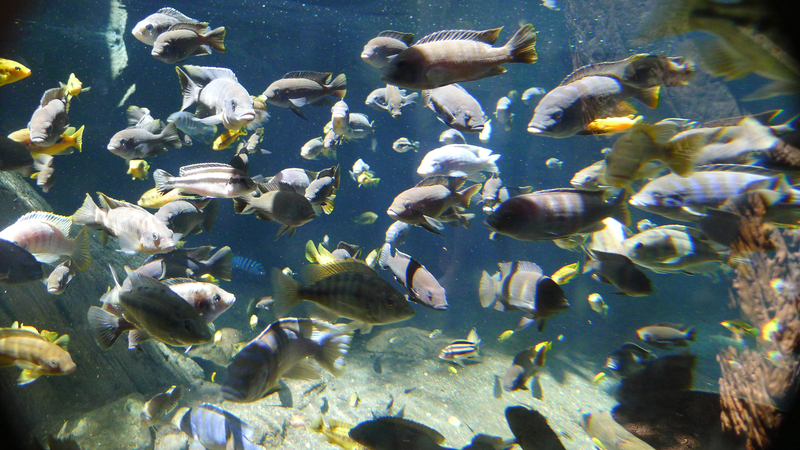 Nothing like some underwater shots from the tropical tank at the Minnesota Zoo to create the illusion of cool. 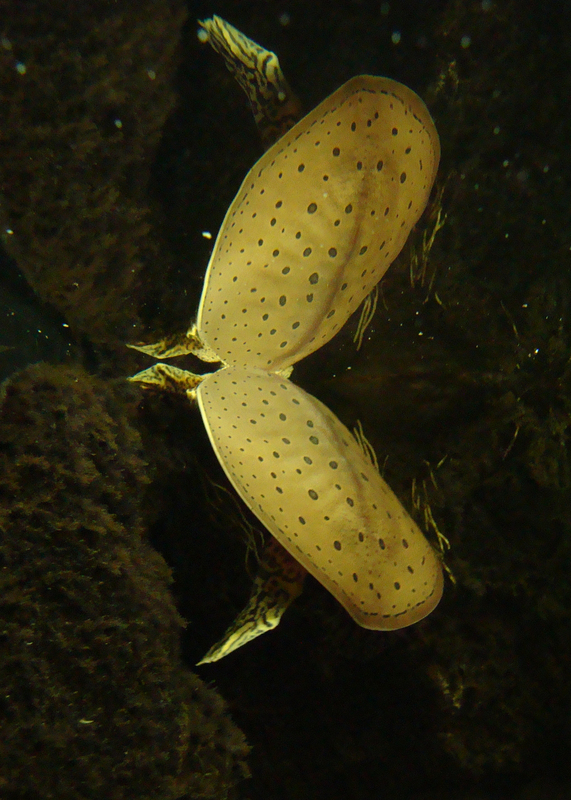 SEEING DOUBLE — Soft shell turtle reflects under the water’s surface. RUSH HOUR — Looks like the morning commute into NYC. 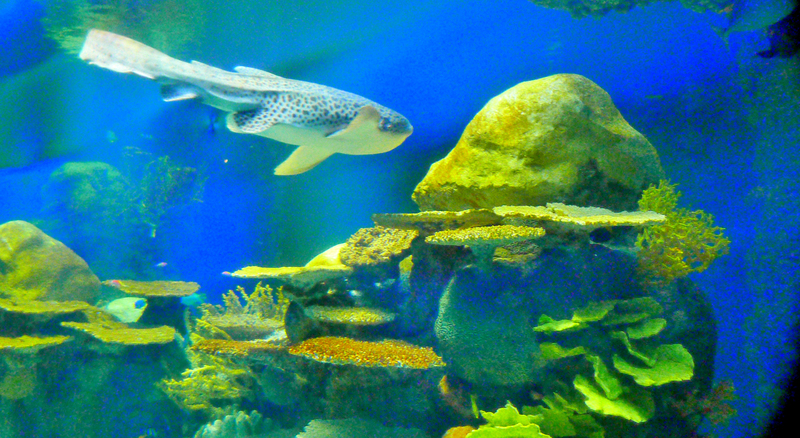 SHARK — Spotted shark slides through the landscape. 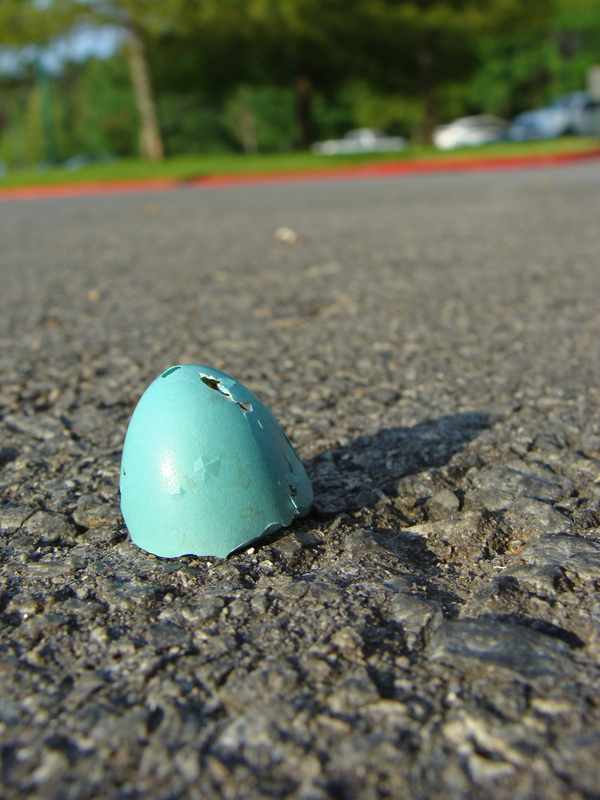 Some avian treasures fell to earth, waiting to be discovered in the office parking lot before the work day began. BROKEN — This half of a robin’s egg was sitting in office driveway. Guessing from the small peck hole at the top and the lack of yolk on the pavement that this was was the castoff from a hatching and not the leavings of a raccoon’s breakfast. 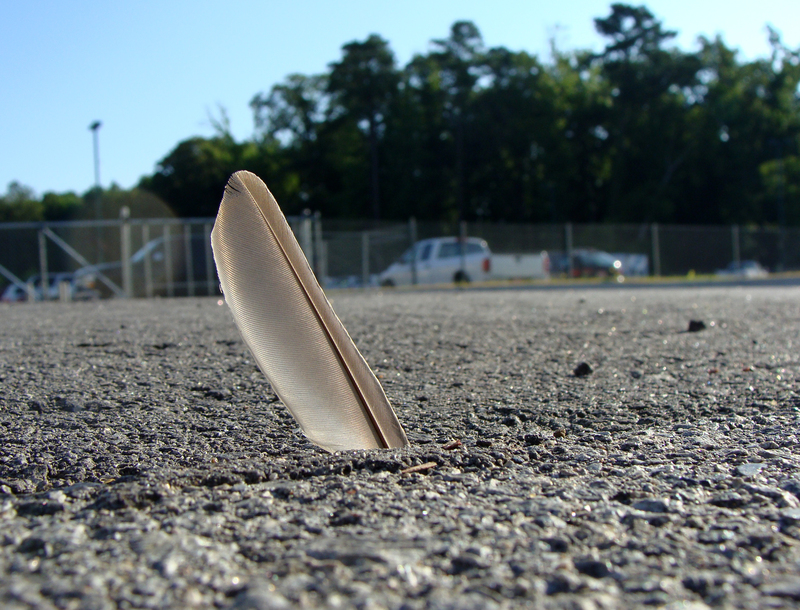 WHAT ARE THE CHANCES?– Like the rare tossed coin that falls neither heads or tails, this feather’s shaft managed to find a crack in the parking lot and land upright.